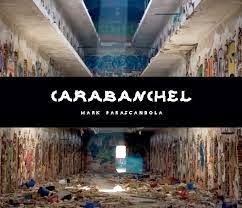 Mark Parascandola is a photographer and the author of Carabanchel, which includes his photographs of the ruins of a historic prison near Madrid. 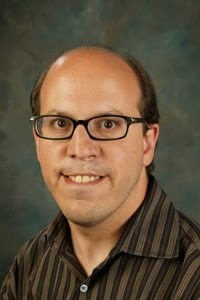 He also is an epidemiologist, and he is based in the Washington, D.C., area. Q: Your book Carabanchel focuses on the ruins of a Spanish prison. How did you find out about this building, and why did you photograph it? A: In 2008 there were news reports about the potential for the prison to be demolished. People came out to protest, and said the prison should be preserved as a memorial to the political prisoners who had been there [during the Franco regime]. My mother’s family is from the south of Spain, and I had been following the Spanish press, which is how I had heard about it. Urban explorers and others had gone in to see the old prison, and I was curious to have a look for myself. I was there in the fall of 2008. Only three weeks after I was there to photograph it, the city came in and started tearing it down. People thought it would take years. Q: So what’s there now? A: The plan was to redevelop it. The area was on the outskirts of Madrid; now, it’s a very busy suburb relatively close in to the center. There was talk about developing the area, building more housing, but there was another fight going on about what should be done with the space; some were arguing for a hospital or other [facility] to serve the community. The fall of 2008 was the beginning of the financial crisis, and since then nothing has happened. It’s a big open field. There are photographs in the book of the big open field. Eventually maybe something will be built. Q: What role did the building play once the prison was closed? A: It remained unused. After Franco died [in 1975], the prison remained in operation. Many political prisoners were given amnesty, but it was used as a regular prison to house criminals. I talk about some of the people [in the book]. It was closed [later] because conditions had gotten so poor; the remaining prisoners were moved out to another prison and it was abandoned. Squatters lived there. It became a site for graffiti artists; the photographs show the amazing street art on the walls. Q: How did your project become a book? A: I took the photographs in the fall of 2008, and I exhibited some of them. I thought it was such a fascinating story. It was an infamous piece of Spanish history under the dictatorship. I wanted to be able to present the whole series of photographs with the history; a photo book seemed the best way to do it. Q: In addition to your work as a photographer, you are an epidemiologist. How do the two professions complement each other? A: For a long time, I thought of them as very separate, but I think many artists have a job they do to earn a living. Over time, I’ve come to see more connections. Epidemiologists look at patterns of health and disease on a population level, not at individual people as doctors do, but at groups or cities. In a lot of my photographs, the theme is also not individual people, but the architecture in which people live. The Carabanchel project and other projects are about a community of people and its history. Maybe that’s the way an epidemiologist might approach it. A: I have another exhibit up at the moment, called La Chanca, at Studio 1469 in Washington, D.C.’s Columbia Heights neighborhood. That’s an exhibit of photographs from Spain, southern Spain, a neighborhood called La Chanca on the outskirts of Almeria. It’s a portrait of a historically very poor neighborhood that’s isolated…but visually intriguing. The houses were built in the side of a mountain outside the city. The neighborhood also has a fascinating history throughout the 20th century. A: My website address is www.parascandola.com. If people are curious to read more, I try to put content on my blog about the images I photograph. --Interview with Deborah Kalb. Mark Parascandola will be participating in the Hyman S. and Freda Bernstein Jewish Literary Festival at the Washington DCJCC, which runs from October 19-29, 2014.